Zoo officials believe the young elephant developed a fast-acting virus on Thursday and died Friday. 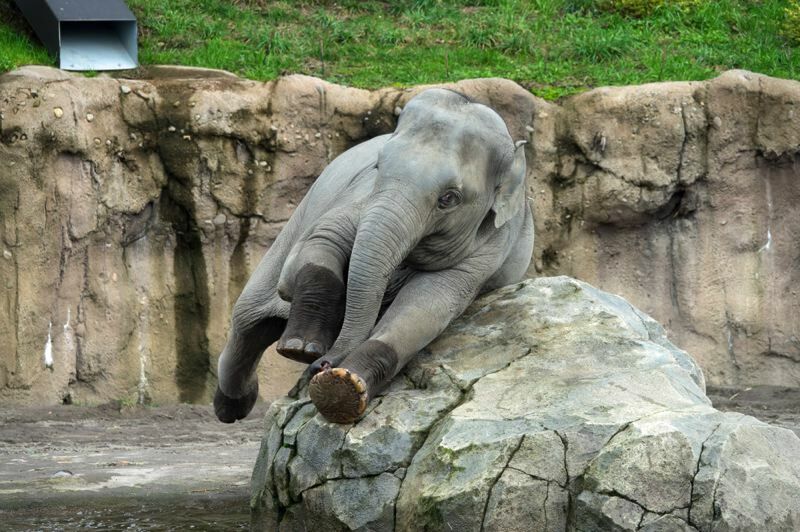 Lily, the youngest elephant at The Oregon Zoo, died unexpectedly Thursday, Nov. 29, the zoo confirmed Friday morning. The elephant died one day before her sixth birthday. The zoo will remain closed all day Friday, including during the scheduled evening ZooLights, with plans to reopen again on Saturday. According to zoo officials the elephant developed a sudden onset of endotheliotropic herpesvirus, known as EEHV, on Thursday evening. It's a rapidly progressing and often fatal disease to which calves are particularly susceptible. "I can't imagine a more devastating loss for this zoo family and our community," said Don Moore, zoo director. "Lily was the darling of the zoo. She was loved by everyone from her elephant family to the people who cared for her every day to her thousands of fans. Our staff did everything they could and fought to save her until the very end. Everyone is in mourning here. It is just heartbreaking." According to the Oregon Zoo, scientists believe most, if not all, Asian elephants in the world carry some form of EEHV, an ancient virus that has evolved along with elephants for millions of years. For the past 16 years, the zoo has been contributing funding and blood samples from all its elephants to the Smithsonian's National Zoo and Conservation Biology Institute, as part of a collaborative international effort to find a vaccine or effective treatment for EEHV, which is the leading cause of death in Asian elephants under the age of 8 in North America.